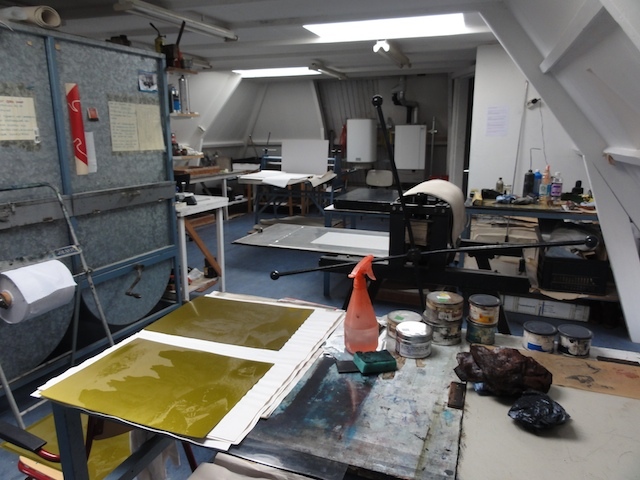 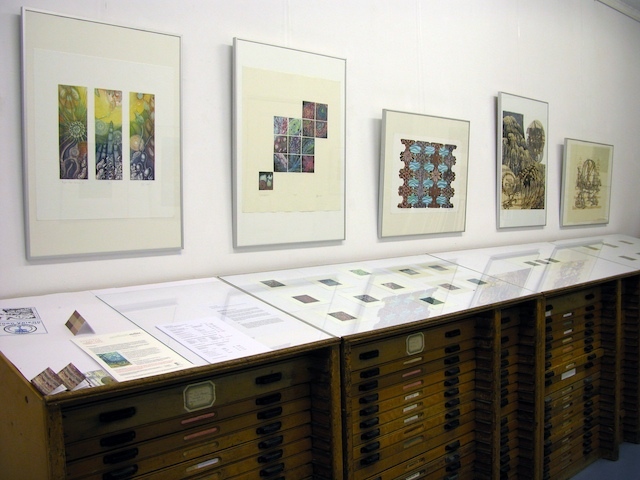 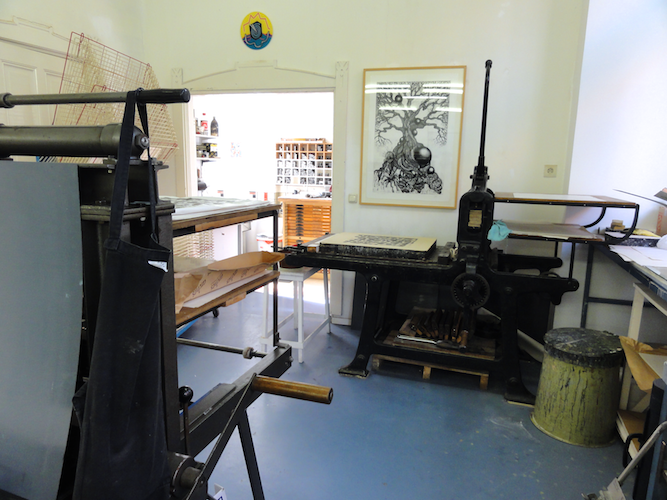 In September 2012, I had the opportunity to exhibit and work in Grafisch Atelier Alkmaar, a printmaking studio in Alkmaar, the Netherlands. 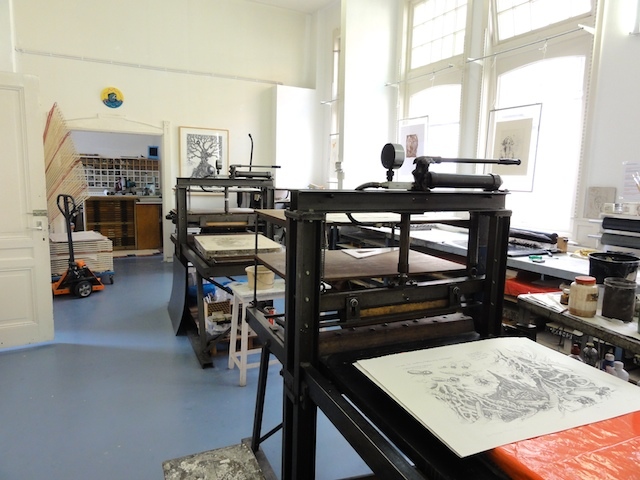 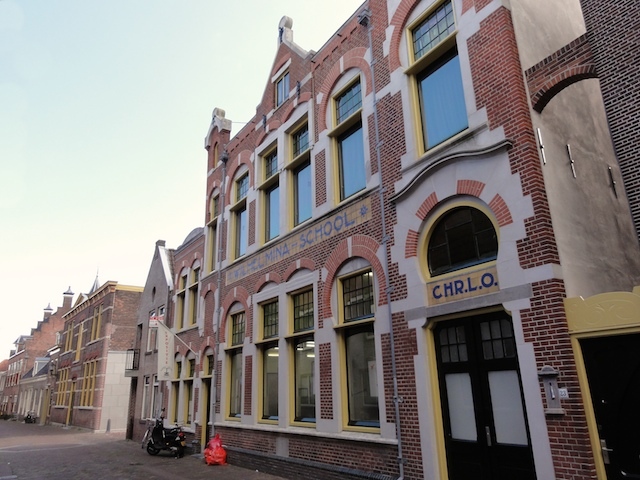 The studio is housed in a lovely three-story Art Nouveau-style school, a heritage building in the historic heart of the city. 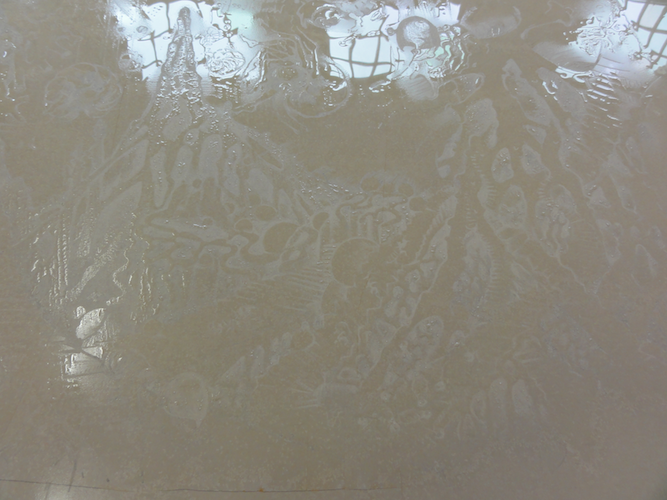 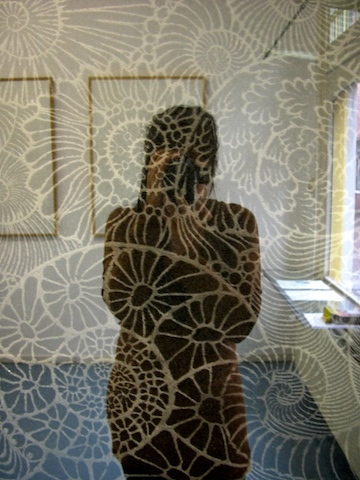 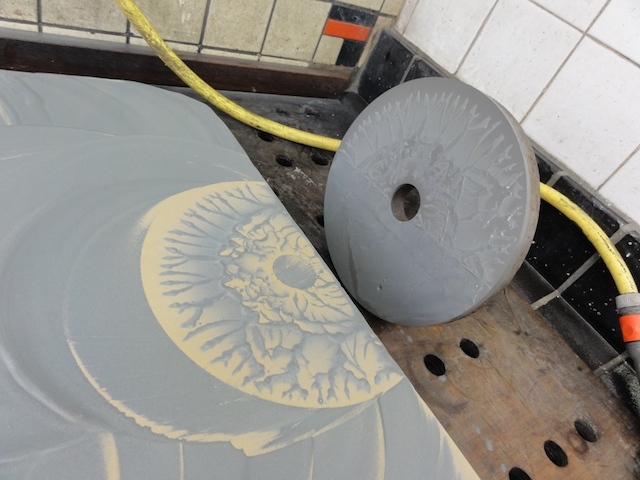 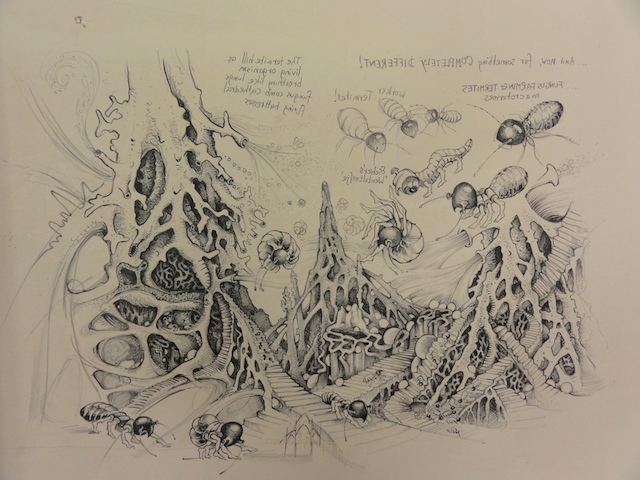 During my two-week residency I worked on a large litho-stone, and I also experimented with photo-polymer plate etchings.